Pizza makes me wildly happy. We drove an hour to just to eat Steve's recipe and it was totally worth it. The crust was a simple yeast recipe and cooked to be crunchy on the outside and a bit doughy on the inside. And I especially love that it wasn't greasy. The cheese was fresh. It was the perfect consistency without it feeling gummy or gluey in your mouth. It came to the table steaming hot with my favorite toppings...sausage and green olives. Oh, I didn't mention the sauce because it needed more. That's my only complaint...MORE sauce. 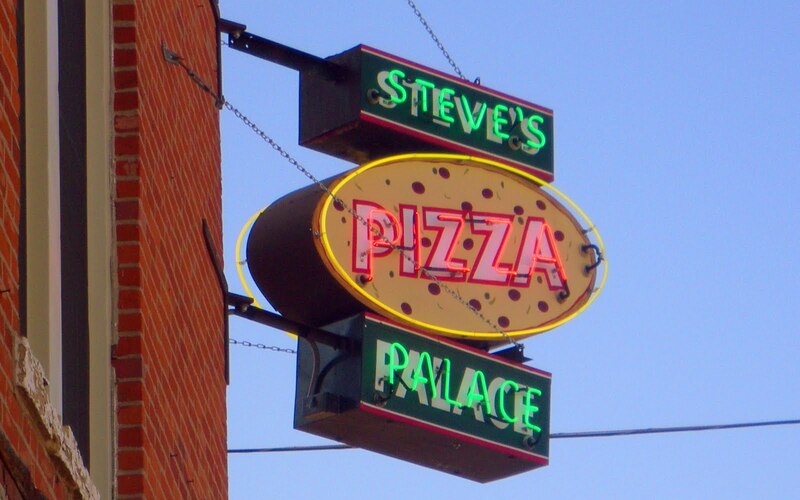 We WILL be making the hour drive back to Steve's pizza and ordering the same pizza only this time with a heavy dose of their sweet orange tomato sauce. Just thinking about it makes me happy So, have you decided what you are having for lunch today? 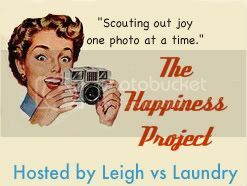 Visit more happiness by visiting Leigh vs Laundry! I love pizza - in fact, I want some right now! Mmmm....we made pizzas from scratch for my daughter's birthday party. She and her friends had fun, and the pizza was really good too! Well, I WAS having Chinese food, but now....? Yum! Pizza is a fave of mine! You literally just made my mouth water! You Capture: What inspires you?